The U.S. Congress proclaimed March as Irish-American Heritage Month in 1991, and the president issues a proclamation commemorating the occasion each year. Originally a religious holiday to honor St. Patrick, who introduced Christianity to Ireland in the fifth century, St. Patrick’s Day has evolved into a celebration of all things Irish. The world’s first St. Patrick’s Day parade occurred on March 17, 1762, in New York City, featuring Irish soldiers serving in the English military. This parade became an annual event, with President Truman attending in 1948. The following facts are made possible by the invaluable responses to the U.S. Census Bureau’s surveys. We appreciate the public’s cooperation as we continuously measure America’s people, places and economy. 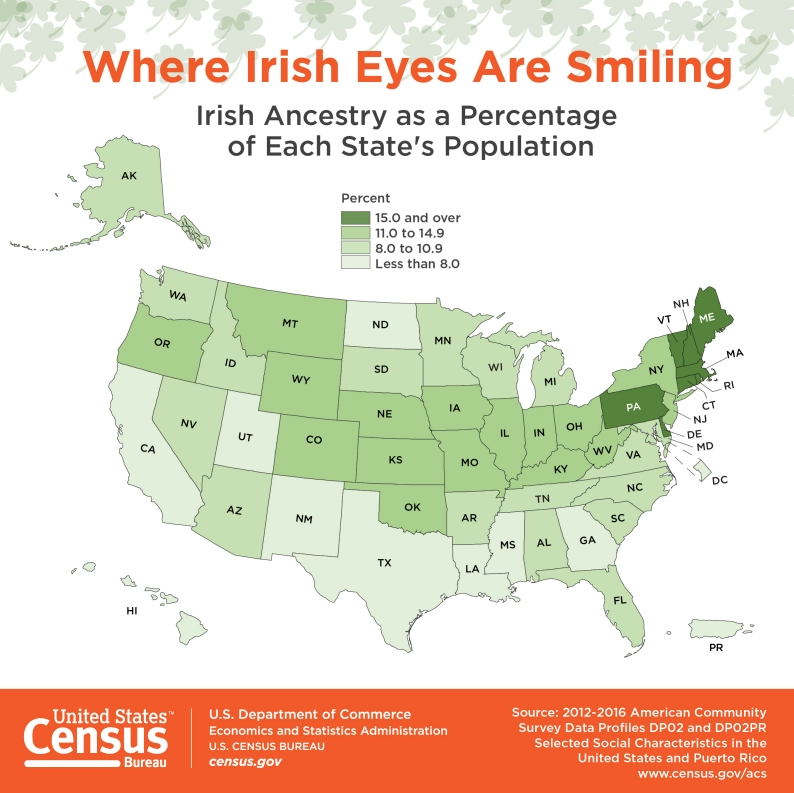 20,590 The estimated number of U.S. residents who spoke Irish Gaelic.